I’ve learned some valuable lessons from my Pinterest craze, including this: just because it’s on the internet does not mean that it is quality–or will even work! 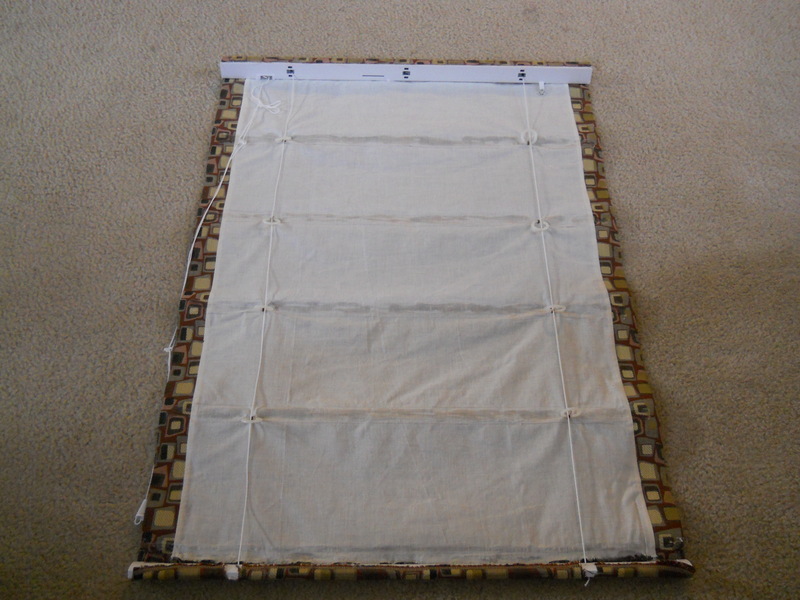 Earlier this year, my mom and I made a roman shade from a tutorial that I saw on Pinterest. 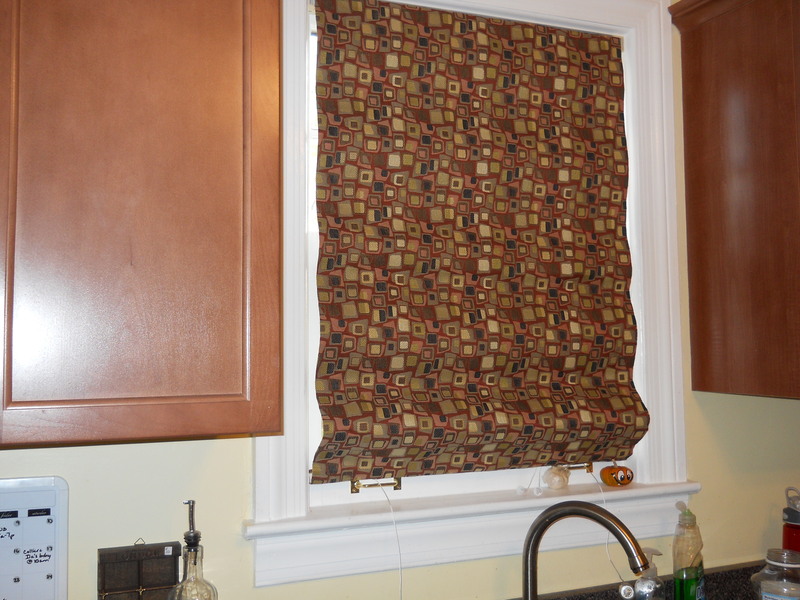 The idea was to take cheap, vinyl blinds and cut them to use as a roman shade. The concept: cut off the “ladder” part of the blinds that holds each slat in place, keeping only enough slats for the number of gatherings you want on your shade. 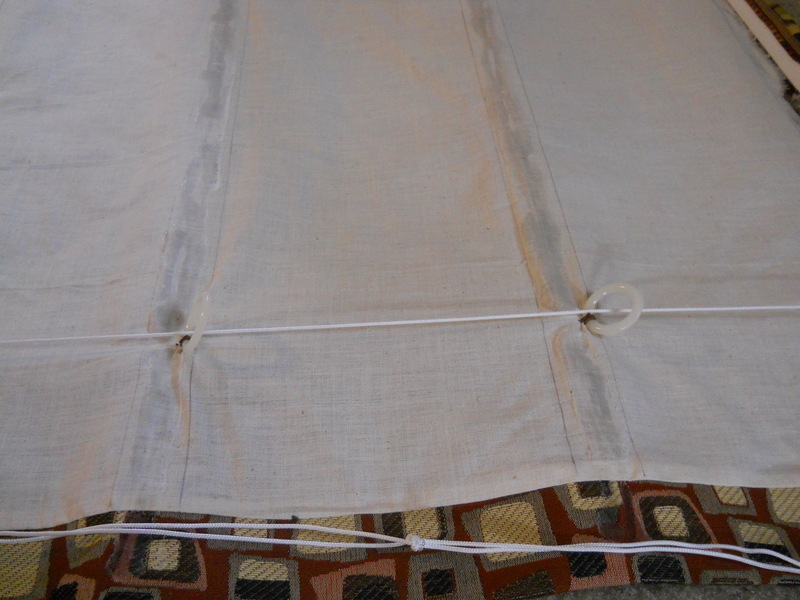 Then, measure the length of the window and cut the cords to length. 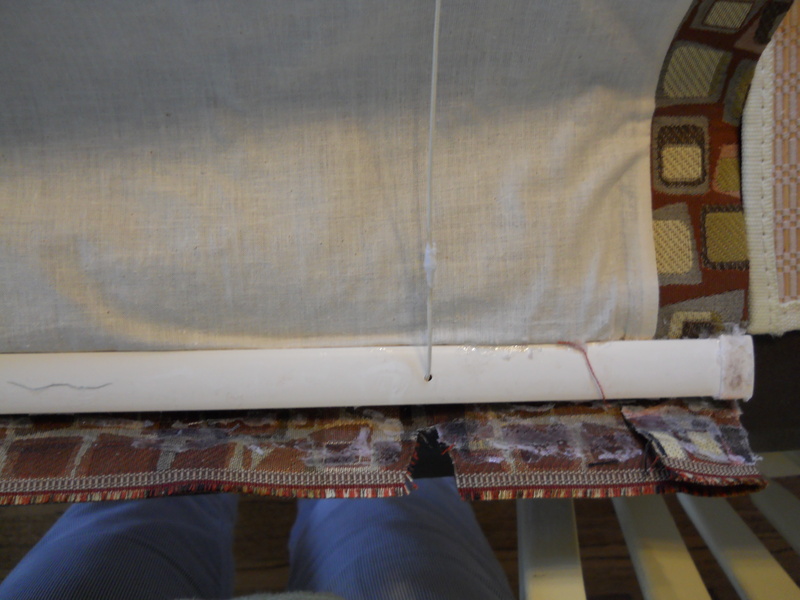 Next, cut the chosen fabric to the width and height of the window/blinds. 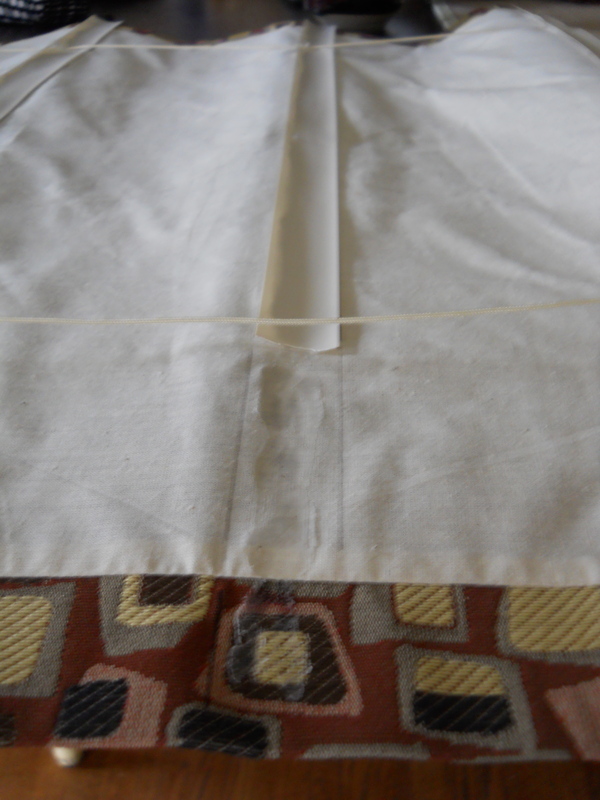 Use fabric glue to glue the blinds (remaining slats and top and bottom) to the fabric, and you’re done! My mom (who has completed a project or two of her own over the years) advised me to use a thicker material than what the tutorial used (so that they would still look nice when light shines through the window. 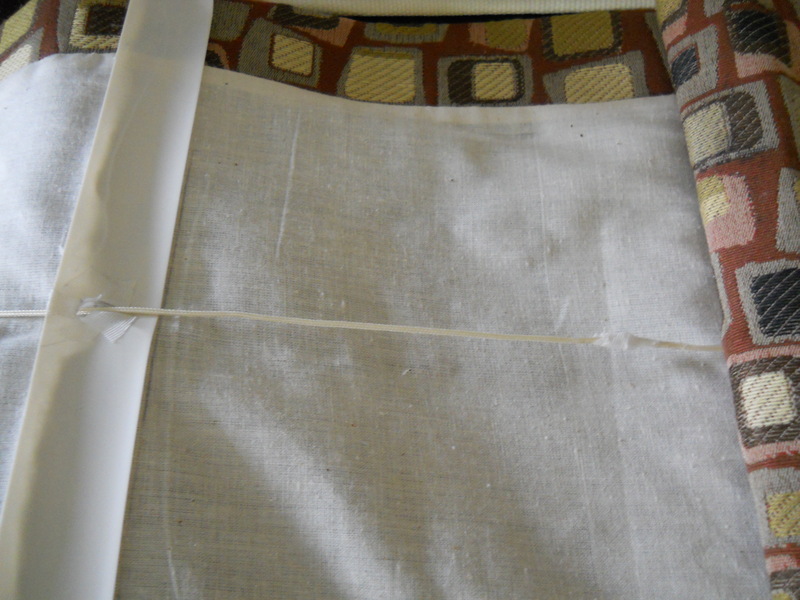 She also suggested that we back it with a neutral fabric so that it would be even thicker and leave a nicer-looking finish. It ripped off the end of the vinyl slats. Meaning, the shade would never raise or lower like it was supposed to. Alrighhhht, here’s how we fixed it. I ripped off all the remaining vinyl slats, along with the top and bottom of the blinds. The next step was to sew some plastic rings in place of the slats. I re-glued everything in place, and guess what? I think it’s really gonna work this time! It even draws up without a problem! Even with all the time, energy, and few extra bucks we had to spend to get this thing working, I still feel this was a great option for my kitchen window. 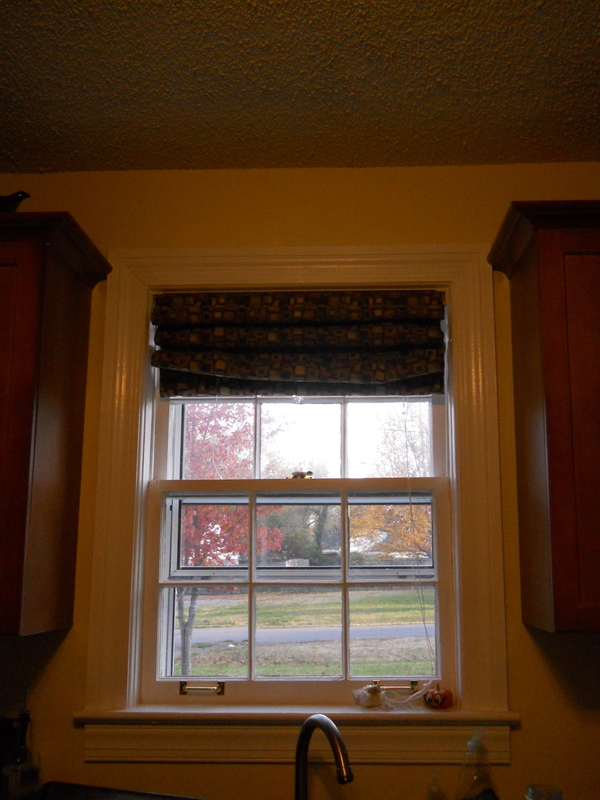 I didn’t have room for regular drapes because of the cabinets on either side and I wanted something that looked more appealing than simple blinds. 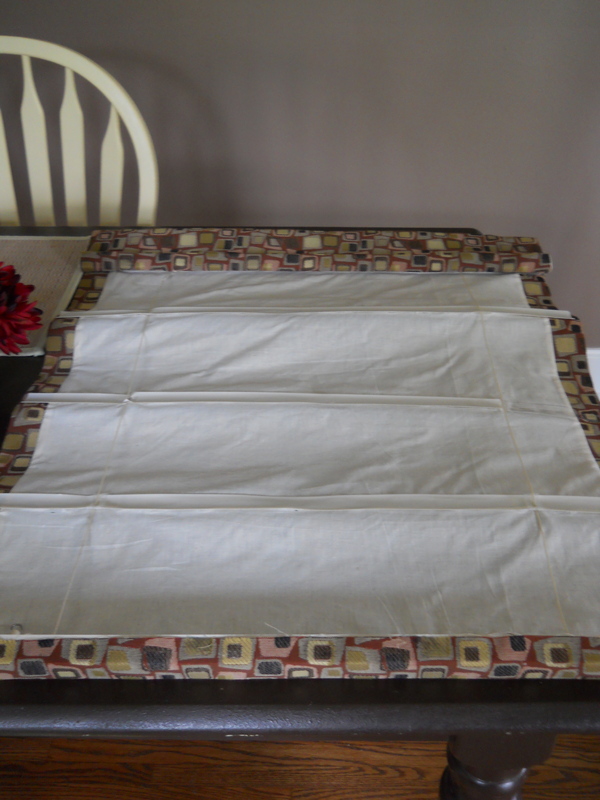 I also priced roman shade kits at the beginning of this whole saga, and they run between $30-$50 dollars (fabric not included)!